Sy currently serves as General Counsel of Prairie Capital. 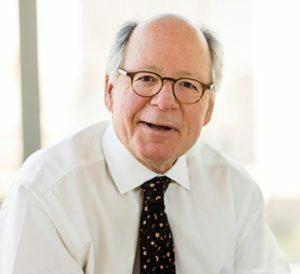 Sy has practiced law in Chicago for his entire career and been a partner at several prominent Chicago law firms, most recently Sidley Austin LLP. For over three decades, Sy has specialized in private equity, mergers and acquisitions and venture capital law and has represented numerous active Chicago-area private equity funds, including Prairie Capital. Many of the legal rating agencies, including the prestigious Chambers USA, have rated Sy in the first tier of private equity attorneys in Illinois. “Chicago’s Best Lawyers” (a division of US News and World Reports) voted Sy “Lawyer of the Year” in Chicago in 2012 for leveraged buyouts and private equity law. For more, contact Sy’s assistant, Brenda Tegert, at btegert@sypecklaw.com or 312.701.0056. Sy is an Adjunct Professor of Law at Northwestern University’s Pritzker School of Law in Chicago, Illinois.